This excellent new quick-release finderscope bracket is easy to use, very convenient and a great value. 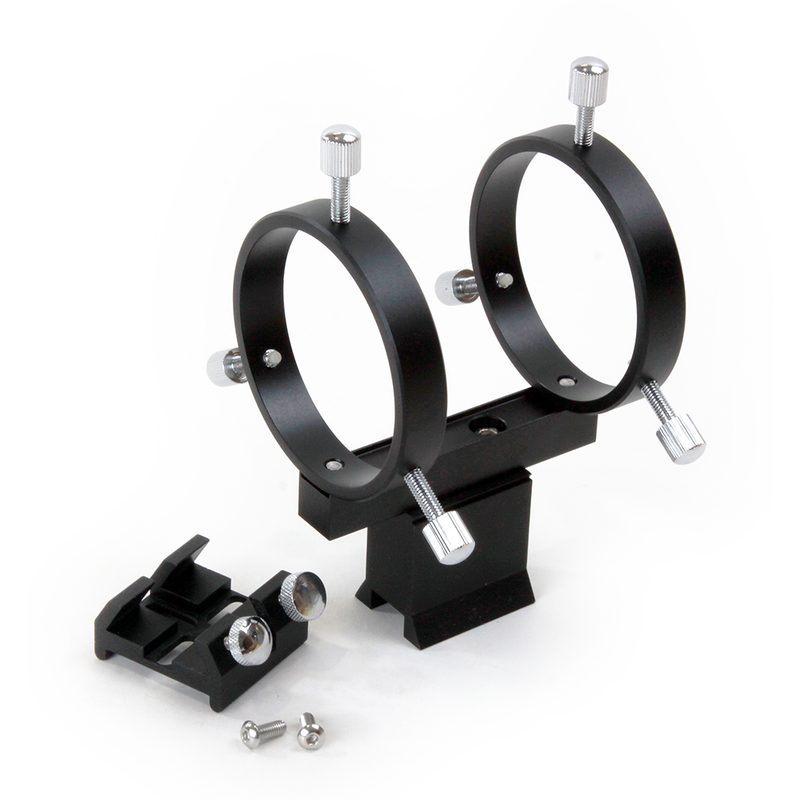 It's a perfect addition to your telescope: no need to waste time mounting the bracket and finderscope every night! It will work with William Optics 50mm finders, as well as with many other finders on the market (see specifications below). Mounting Base Information: Note that this bracket is attached to telescope focusers using a Vixen/Synta-style cross-slot base using two mounting screws. 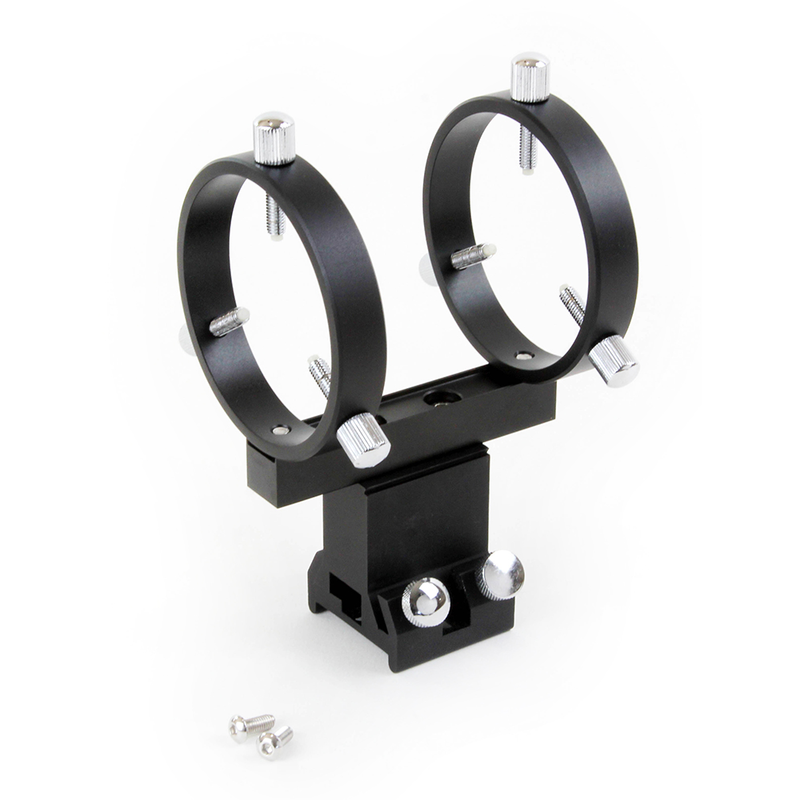 This bracket will fit only specific William Optics telescopes that use their standard R&P or Crayford focusers such as the GT71 and Star 71/71-II. It will NOT fit the new William Optics telescopes that use the newer V-Power focuser. 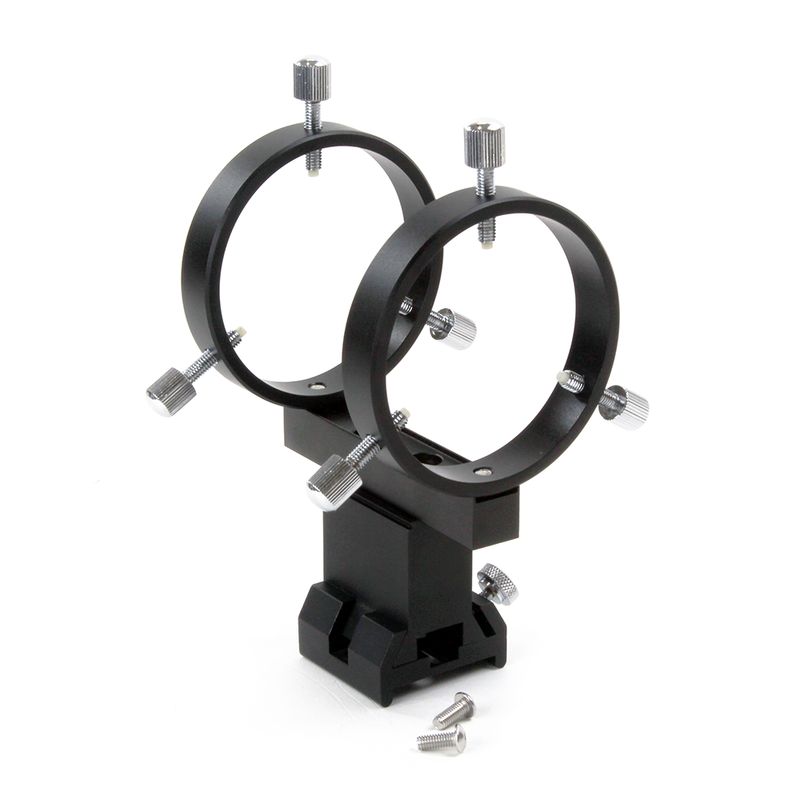 This base can be mounted on tubes that are 3.5" or larger in diameter (not telescope aperture), as well as flat surfaces. 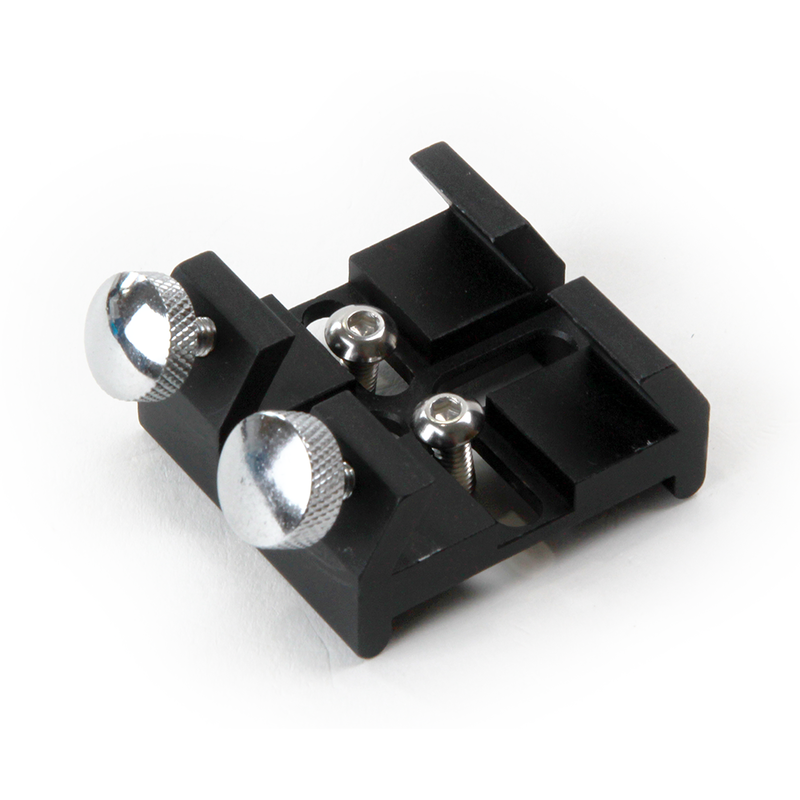 Perpendicular to the optical axis, this base can be used with mounting hole spacings ranging from 10mm - 29mm (0.39" - 1.14"). Note that this spacing is not sufficient to be used on 8" and larger SCT telescopes if you want to use two mounting screws. 3 Teflon-tipped adjustment screws on both rings. Completely CNC machined, polished aluminum. Inside diameter of 67mm (usable ID is less because of delrin-tipped thumbscrews). Will fit WO 50mm finderscopes or many other finderscope tubes as small as 29mm tube diameter to as large as 60mm tube diameter.